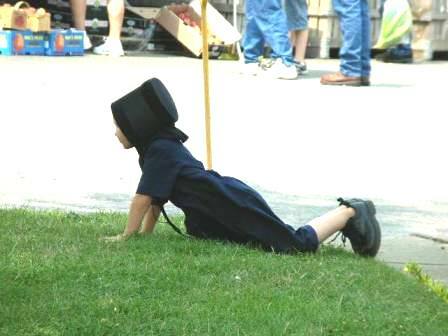 Buy a Map of Ohio Amish Country here! Interstate highways are close but do not pass through Holmes County which contributes to its unique and unspoiled landscape. Look at the map below to see just where Holmes County is in relation to the major cities and interstates. You can see the Interstate triangle of I-71, I-77, and I-70. US 62 goes right through both Millersburg and Berlin, as does SR 39. US 30, the Lincoln Highway, lies just beyond and along the northern edge of Holmes County. Other key byways include SR 557, SR 241, and SR 93. It is HIGHLY recommend that you get a good and up to date local map of the area A good local map includes township roads that link the scenic byways and backroads. Avoid getting lost as you travel about Ohio Amish Country. (See picture below). The best map I have found is the Amish Highways and Byways. This is not your typical "tourist" map. It is made by a professional map maker and includes Wayne, Stark, Tuscarawas and Holmes counties. There are maps of Millersburg, Berlin, Walnut Creek and Sugarcreek which are all indexed so it helps you find a particular street or back road address you might be looking for. I have just returned from a weekend in Amish Country, this being about the 4th trip we have made. We were there Friday and Sat. May 19 and 20. We stayed at the Comfort Suites Berlin, very nice from the people to the room. Enjoyed eating at several different places. Obtained one of your maps, and enjoyed a tour of our own on the back roads. Cannot thank you enough for the nice map. There is an index for all the roads in each of the counties, plus a section on places to eat and places to stay and other attractions in the area. To check out the Ohio road conditions CLICK HERE. My husband and I just returned to RI from a visit to Holmes County. We just missed the tornadoes and you are right, the devastation to some areas was unbelievable. 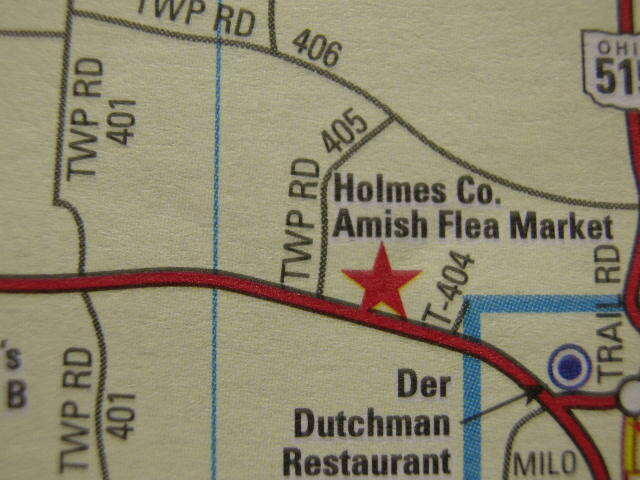 Anyway, before our trip we purchased the Amish Highways and Byways map. What a Godsend that map was! It allowed us to get off Rt 39 and other roads and really travel around on the backroads. We hardly ever got lost! Thank you so much for telling your subscribers about this wonderful resource. It made our trip so much more enjoyable. Holmes County is truly blessed with beautiful farms. The landscape was awesome. We hope to make it back there one day. Build a Website in Minutes. Try for free!